Dr Attila Kardos graduated with honours from Albert Szent Györgyi Medical University, Szeged Hungary. His cardiology training was completed in Oxford. His PhD work was carried out in Bad Krozingen and Freiburg as well as Tubingen Germany. He was a clinical research Fellow of the European Society of Cardiology and a Normal Collisson Scholar at the Department of Cardiovascular Medicine Oxford University where he has been also appointed as a clinical lecturer. Dr Attila Kardos is a senior consultant cardiologist in Milton Keynes University Hospital and has been awarded a Professorship at Buckingham University in the United Kingdom. He has been playing a leading role in developing cardiology services in the Trust including Cardiac CT angiography, advanced echocardiography, cathlab services and pacemaker implantation services. He is the clinical lead in multimodality cardiovascular imaging in the Hospital. He has been the clinical director for Research & Development and recently the vice chair. He is a lead researcher in cardiology and is the principle investigator in several clinical trials. He has been supervising MSc and PhD students on a regular basis. 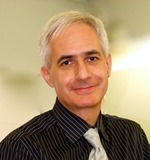 Dr Kardos is a fellow of the Royal College of Physicians London, and the European Society of Cardiology. He is a member of more than 10 national and international Societies. Dr Kardos is a reviewer of a number of high impact Journals and has been a member of the AHA and ESC Scientific Program committee. He has been widely publishing and authored 93 peer reviewed papers and few book chapters. Research Gate score 37.80, citation: 3110, h-index: 24. Speaker and Invited as well as Key note speaker at National and International Conferences >120.